There were many insights this week from Arctic Change 2017. The event in Quebec City brought together many of the Arctic’s leading academics, researchers, community leaders, and government officials. On the opening day of the conference, I organized and facilitated a special session on co-management in the North with Dr. Kaitlin Breton-Honeyman and Dr. Vicki Sahanatien. There are comprehensive land claim agreements or modern treaties covering the Canadian Arctic, and each of these deals describes processes for the co-management of lands, wildlife, plants, and fisheries in Indigenous territories. Speakers across Canada from the respective land claim regions, and co-management boards. We were grateful to have practitioners from across the country participate in this session, and to have the opportunity to explore the state and evolution of these co-management structures, and what practitioners envision as the future of land claims co-management. Indigenous ways of caring for and utilizing wildlife resources pre-dated the arrival of settlers, and it is important to remember the struggle of Inuit and First Nations to negotiate and settle land claims against the backdrop of large-scale developments, such as hydro-electric power, oil, and nickel mining. Only in rare cases did deals get reached because of extraordinary political will. The concept of co-management was articulated in constitutionally protected treaties and believed by many to set the stage for a future of sustainable utilization and shared leadership of wildlife resources. Under these new agreements, Indigenous peoples would be more involved in wildlife management, and no longer treated as mere stakeholders. 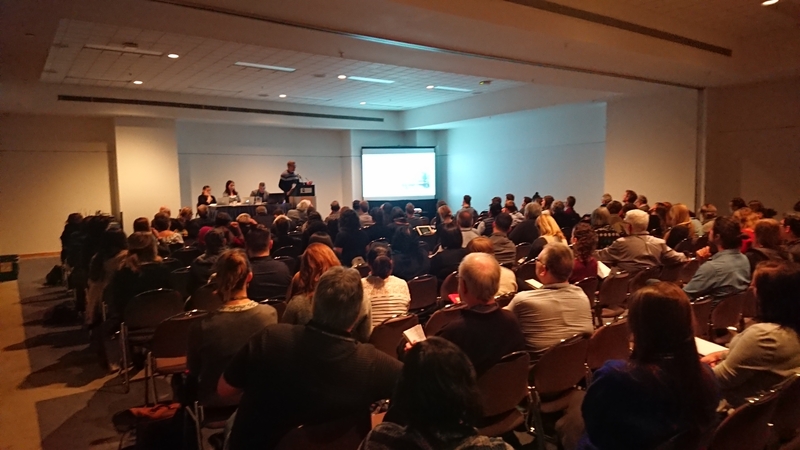 Speakers highlighted complex case studies and demonstrated co-management success stories, such as the reinstatement of a Bowhead Whale harvest in Inavaluit, the co-creation of Dolly Varden Char knowledge, and Beluga whale management in Nunavik. Without a crystal ball, or blueprint on how to operationalize co-management, many disappointments about power sharing, apathy, and respect for the processes added to the dialogue and the jury is still out on whether the spirit of land claims co-management systems is being honoured in this country. Canada has also signed on to the United Nations Declaration on the Rights of Indigenous Peoples (UNDRIP) and, given Canada has a robust network of Indigenous co-management across the Canadian Arctic, this is a field in which the principles of UNDRIP can generate success for the well-being of Indigenous peoples. Rather than a prospect of litigation, alternative dispute resolution, inaction, and incrementalism, participants in this particular session talked about the timing for a strategic evaluation of the co-management network, a review of its successes, and the possibilities associated with a renewed mandate. Inuit co-management board members such as Gerald Inglangasuk and Derrick Pottle expressed a sense of urgency for new resources, enforcement, protection, and preservation to ensure sustainable utilization remained possible and an Indigenous way of life can continue. Large turnout for Honouring the spirit and intent of land claims co-management in the Canadian North at Arctic Change 2017 in Quebec City. I thank the panellists and audience that attended the session this week. The large turnout is a positive sign that researchers, policymakers, and community leaders are interested in solutions that can bridge different knowledge systems, opportunities to co-create knowledge, and solutions that ensure sustainability in the Arctic. The co-management network is an influence point in our governance system that can leverage many benefits for the Arctic, and provide many solutions for those that want to research, develop, and live in the North.